Plus, The Internet announces a string of tour dates. Syd finally broke the silence about her long-awaited solo debut earlier this month, releasing the video for the project's first single, "All About Me." On Tuesday, Syd dropped by Zane Lowe's Beats 1 radio show to debut "Body," the second single from Fin. The song, produced by MeLo-X, is a sensual jam that finds Syd giving orders: "Get those cameras rollin right now/ I’m directing and I really wanna see you act out." The Internet has also announced a string of unique tour dates which they're calling "THE INTERNET Presents THE INTERNET Tour." According to a rep for The Internet: "For this run of shows, the band is deconstructed - each member taking center stage to play a set of solo material while the rest of the band backs them up. 5 artists, 5 sets. 1 band reassembled at the end of the evening." 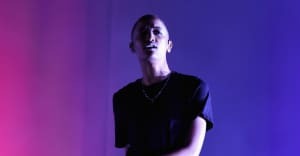 Syd's Fin album is due out February 3. Listen to her new single, "Body," and see those tour dates below.